Re: Re: Re: TTC 'Scan All Listings' No Longer Uploading Data. HELP! Seriously, thank you for commenting and letting me know. 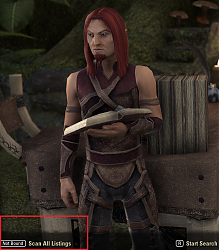 I thought it was somehow just a random problem that happened to me after the latest ESO update but I guess not. (It could have happened before the ESO update but I just noticed it after my sales dropped.) I've talked to a few other players who also said they noticed the TTC client doesn't seem to be uploading all the items they posted, just a small portion. I wish someone had a fix for this because it has REALLY hurt my sales and the sales for the guilds I'm in that I used to scan every day. Hopefully, the author of TTC will see this and let us know if there's a fix. TTC author: any fix here? I'm in 5 trading guilds so I've had a pattern of scanning each of my guilds with the 'Scan All Listings' button (in the bottom left-hand corner) to keep all my guilds listings up to date. Unfortunately, since the last update, TTC no longer works that way. I press 'Scan All Listings' and it goes through showing all the 60+ pages are scanned, as usual, but then when I close the game or /reloadui, it only uploads data for maybe 20-25 items and then stops. 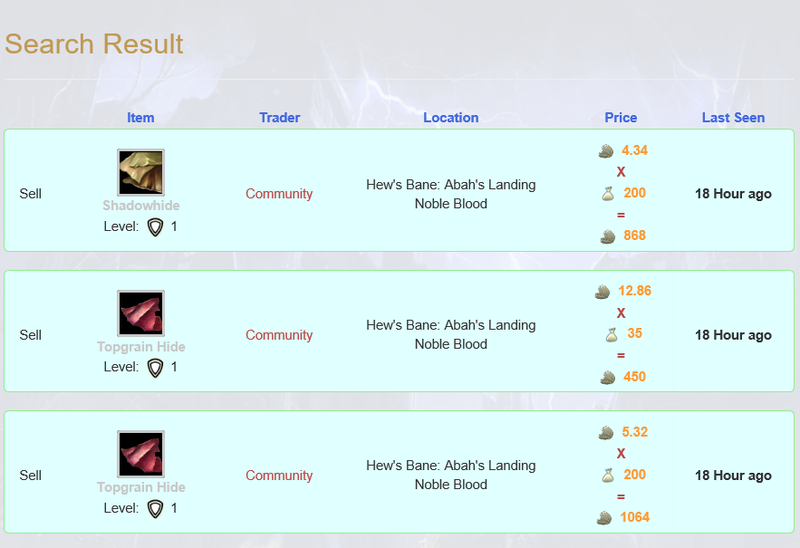 I don't sell very often, but a few days ago I bought 16 Diminished Aetherial Dust with some piled-up vouchers, and put them up for sale on one of my guild's traders, 1ea in 16 slots. 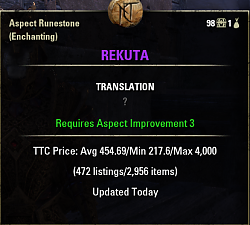 I didn't feel like uploading the entire guild's listings, so I filtered and searched for "Diminished Aetherial Dust" (to scan mine). When I did /reloadui, the client only showed about 5 uploads. I re-scanned, and reloaded again, and got another 4 "Uploaded 'Diminished Aetherial Dust'" lines in the client window. I had to repeat this another 2 or 3 times before all 16 listings uploaded. Since I very rarely sell anything, I didn't really care, but since you asked if anyone else had a similar problem, I posted. I failed to reproduce the problem locally. You said that you disabled all other addons correct? Including AGS? 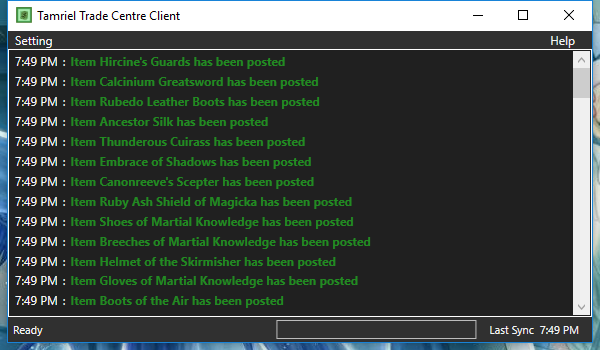 AGS completely overwrite the underlying guild store interface and their API calls. There are still some outstanding issues I need to solve. As for the speed. I made a big performance update last Monday. Uploading should be 10x faster than what it was before (it was slow due to congestions). So that might be why you are seeing the drop in upload time. I am in a middle of a big refactor. Once im done I will add in the upload count to the console messages so that you can clearly see how many items are uploaded. Could you please update ttc to include min/avg/max and ttc suggested prices in the gamepad ui inventory/bank/guild trade. it would help a ton. idk how hard it is to do but i know my fish fillet addon lists how many roe ive received and how many fish ive filleted and the percentage in gamepad ui. I've updated the prices tables EACH day before playing and the prices seem to be all outdated a lot. Guess there is a problem with the update. Trying to re-download the files from your website to get the actual prices and will test if this fixes it. MAybe the auto updater is broken then. After logout ingame, delete of the TamrielTradeCenter addon folder and SavedVariables file, downloading the addon manually from your website, starting the client.exe and updating the prices and login again it seems to work again. Last edited by Baertram : 03/30/19 at 05:34 PM. Re: Re: TTC 'Scan All Listings' No Longer Uploading Data. HELP! Re: TTC 'Scan All Listings' No Longer Uploading Data. HELP! TTC 'Scan All Listings' No Longer Uploading Data. HELP! 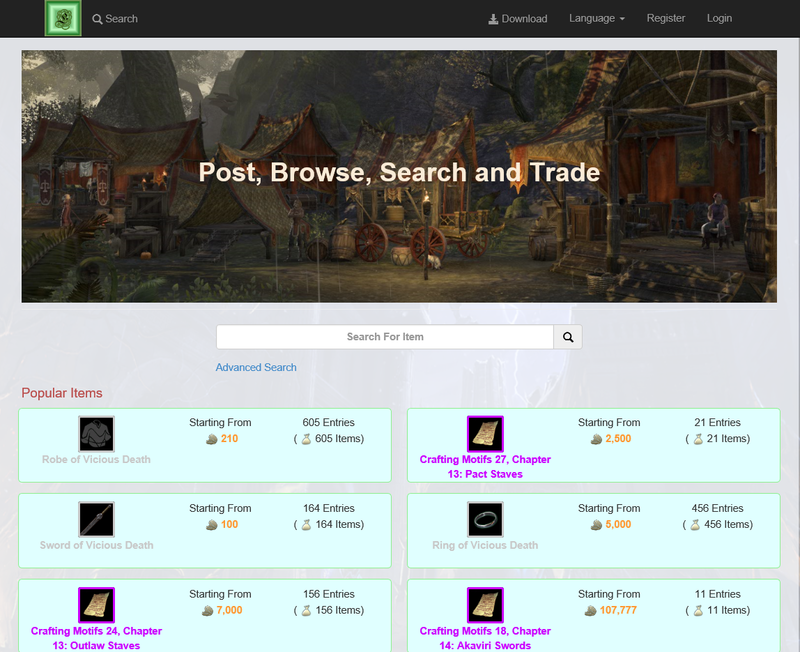 I'm in 5 trading guilds so I've had a pattern of scanning each of my guilds with the 'Scan All Listings' button (in the bottom left-hand corner) to keep all my guilds listings up to date. Unfortunately, since the last update, TTC no longer works that way. I press 'Scan All Listings' and it goes through showing all the 60+ pages are scanned, as usual, but then when I close the game or /reloadui, it only uploads data for maybe 20-25 items and then stops. I've been doing this daily for months and normally, there are so many listings and it takes maybe a half hour or more to upload all of them. The uploads now take about 30 seconds and then stop and only upload about 20-25 items. I've tried everything and can't get it to work. I've disabled all the other addons besides TTC and the problem still happens. This is hurting my sales and I'm sure my guilds' sales too. Does anyone know how to fix this? Has anyone had this problem? 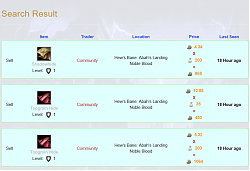 I've also talked to other players who said that when they press 'Scan All Listings' they get a UI error. Does anyone know what causes that or how to fix it? 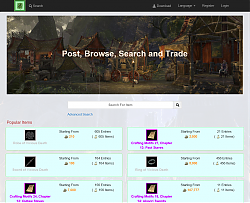 TL,DR: 'Scan All Listings' is no longer working as it's not uploading all the guild listings it scans. Last edited by BlazeOfGlory : 03/30/19 at 07:44 AM. Not sure if this has been reported, but, when I browse the guild vendor search window, the "Suggested TTC Price" is no longer visible in the item tooltip. It is visible normally in I open my inventory. Am I the only one experiencing it? You're not the only one! I too am having this issue and the only solution has been to disable AGS. 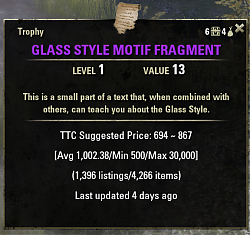 I have seen others with the same problem, but the discouraging thing is that it doesn't seem to be universal as I also have guildmates who say they can see the TTC tooltips in the guild stores with AGS. *choir of angels sings* THIS WORKS THANK YOU!